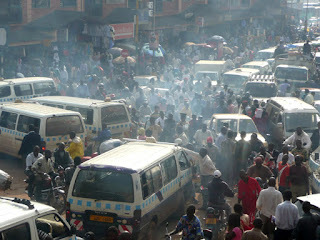 Trips to the capital city of Uganda are frequent. Just as frequent is the constant amusement the organized chaos of the traffic flow gives me. I've lived here in this amazing country, that I love with such a passion, for more than a decade. I am used to the close calls, the never ending crashes, the unexpected dodging in and out of moving traffic by taxis, and the lack of structure the boda bodas have for getting their passenger(s) delivered. I'm simply amused. 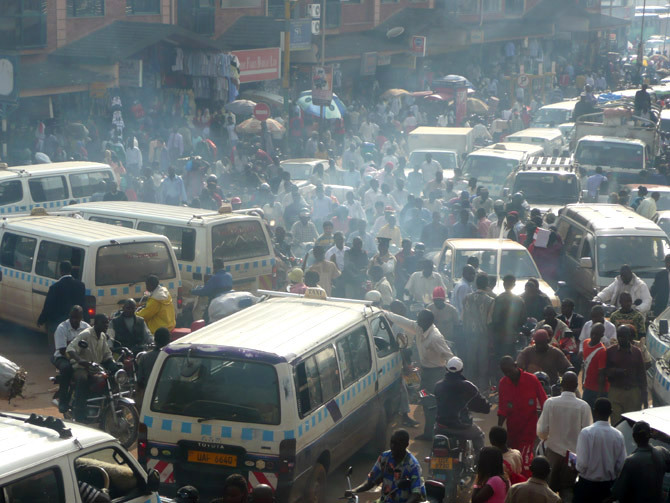 I have a theory about why the traffic in Kampala can scare the heck out of people from countries that have a structure (rules of the road) for travel. First of all ... it's not about staying in your lane, honoring other drivers, or right of way. It's all about space. Yes ... SPACE. There is so little space available that whoever gets to any open space first owns it. So, the race is on! You against all other drivers! You have to get there first. While this ever change? Ah ... not right away. Why? I have another theory why change will be slow in coming, if it comes at all. Getting a driver's license in Uganda does not require any driver training. It only requires money. The license can be purchase and within a few days it is printed. So, how do drivers learn to drive in Uganda? 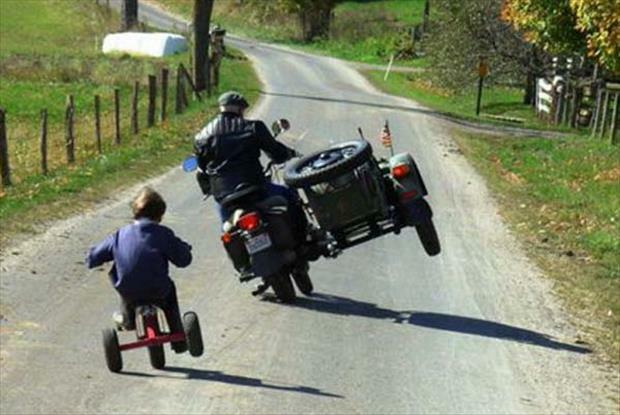 Like father ... like son! They learn from the parents who may be fortunate enough to have a car. Or, they learn from the taxi drivers (horrors!) whom they travel with most often since few people own cars in Uganda. Bottom line? They learn by observation. They watch. They learn. They do what they see being done. Here is the principle: WE BECOME WHAT WE BEHOLD. Five days from now, normal life, as we know it, will pause for a day or two and more people than usual will give Jesus Christ a casual glance. 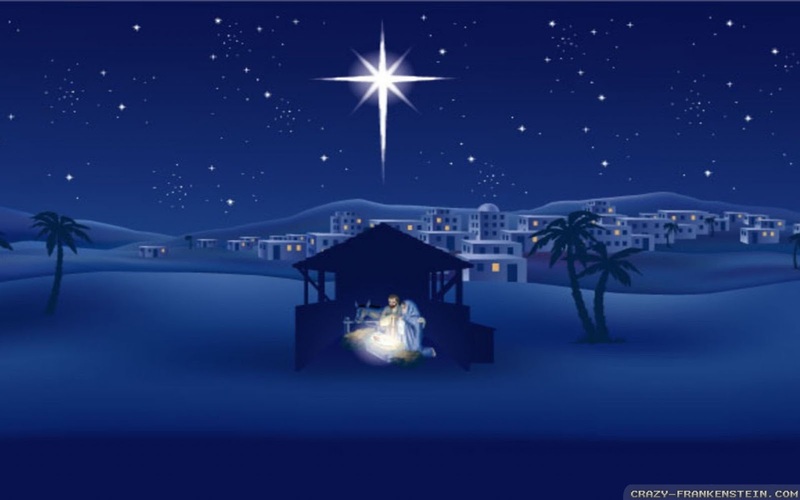 Though contemporary America finds it popular to mock the reality of a Jewish baby being incarnated God, there is still enough history and tradition to include nativity scenes and seasonal songs about His birth. But ... it's just an annual glance. Nothing that captures the attention of most. It comes. It goes. And, life becomes routine. Often without any involvement or intrusion by this one named Jesus ... God with us. Sadly, even for many who have a relationship with Jesus, the focus may be on their past, their failures, their deficiencies ... their sins ... their guilt. If we watch drivers from Uganda drive the way they do, we will most likely learn to drive just like they do. And, if we have an annual glance at Jesus it is unlikely we will become like Him. Now .. there are those who are thinking, "Glad I'm not a part of that group! Heck, I think I get to "church" 3 out of 4 Sundays." But, if you are one of those, you haven't yet grasped the point here. You see, for many (if not a majority) church attenders, there is a Sunday to Monday disconnect. What they are exposed to on Sunday doesn't really connect with real life on the other days of the week. 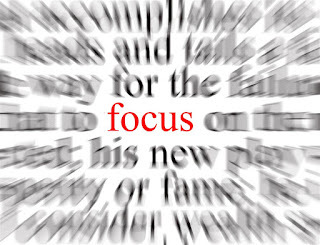 I'm talking about FOCUS here. Focus on myself, my past, my failures, my successes, my needs and I'll be tempted toward dissatisfaction and despair. My weaknesses, challenges, sins, achievements, and problems begin to grow into a life of their own and soon beome so large that there is no room for another focus. But, the good news, is that IF the focus of our lives ... Monday through Monday ... is on Jesus Christ ... wow! Big God. Small me. We become like what we behold. I'm fascinated by the exhortation of Hebrews 11 which instructs us to "lay aside every weight and the sin which clings to us" so that we can run our race with endurance. How do we lay aside the weights and sins? Read on my friend! Look to Jesus. Consider HIM. Not ourselves. Here is a friendly suggestion for you this Christmas Season ... even something for you to consider for 2017. 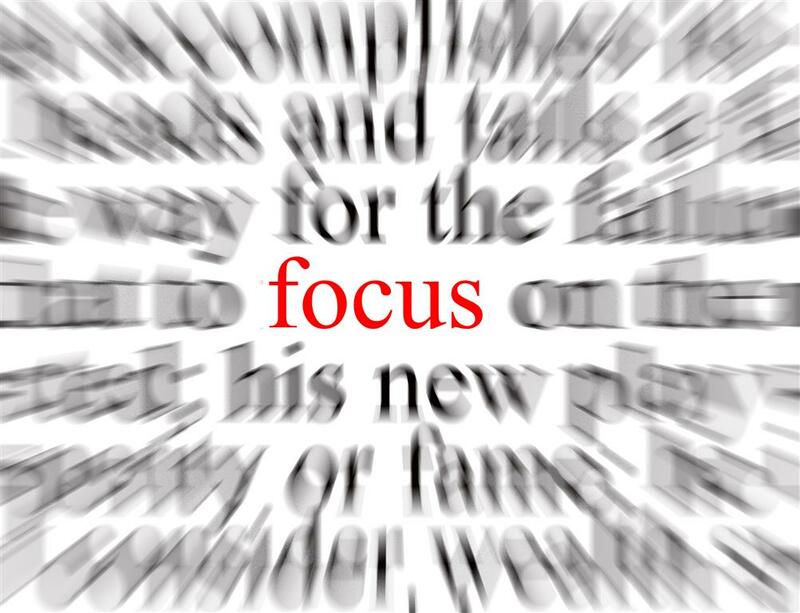 How about we keep our focus on Jesus? Go ahead. From now until next Christmas. That's what my mind has been on as it leans toward Christmas and focusing on Jesus ... the originator, orchestrator, and finisher of my faith. He must increase [in prominence], but I must decrease. Those were Pam's exact words to me after proofing my blog. Just the message that I needed to read.Paul, you are still my pastor! Thanking God for the work He is doing through you. Thanks for the encouragement Cathy! I'm having the time of my life. We are so grateful for the grace of God. Thanks for the encouragement ... Andrew!! Hope you got some time with Rebecca, our amazing African daughter, while she was in Idaho! She thoroughly enjoyed it.